Beautiful sunset at Alphabet Ranch! Wow - what a gorgeous photo. You have an eye for beauty. Thanks for sending this. Happy 2009 to you! The beauty of the sunset matches the beauty of your smile. All the Best to you for 09. This is BEAUTIFUL! We do have some gorgeous sunsets don't we! 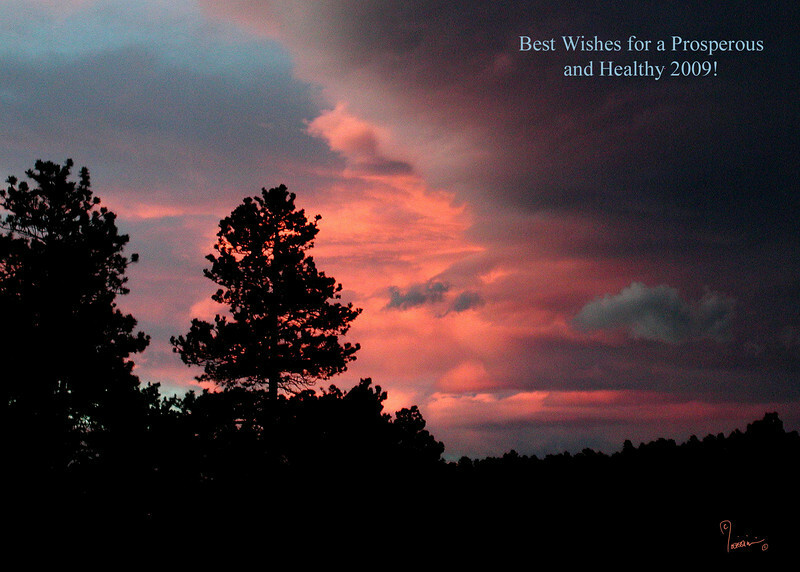 As usual, Christina, you have captured a magnificent Colorado sunset. Brilliant! Wonderful photo!